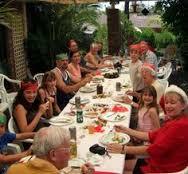 The best place to spend Christmas is at home surrounded by family and friends! So the office will be closed from mid-day Friday, December 23 and re-open Tuesday, January 3. For our IT ASSIST customers who require 24/7 assistance, we’re only a phone call away 1300 IT ASSIST (1300 482 774).